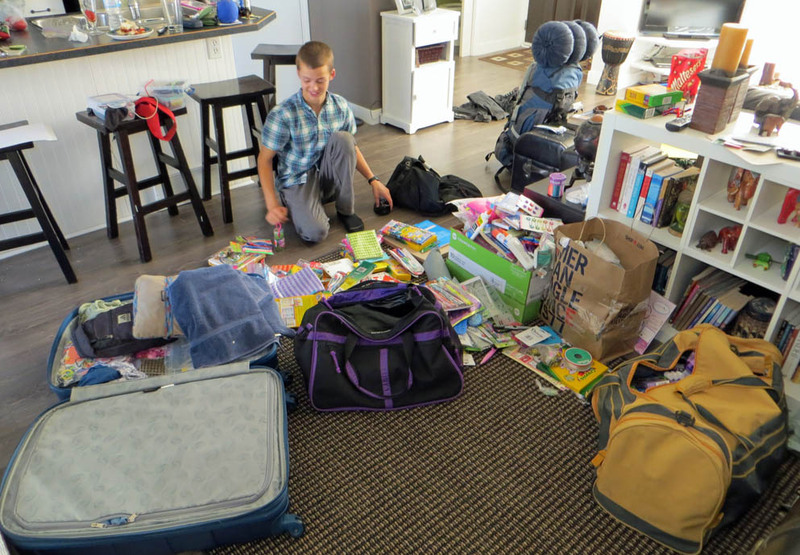 Max and I organize all the donations prior to leaving for India. 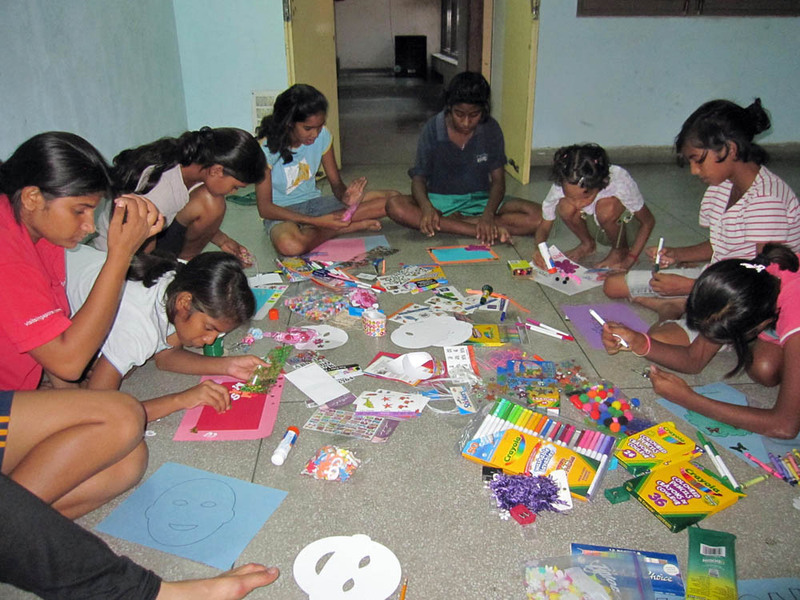 October 2012 – the girls in one of our daily art projects. 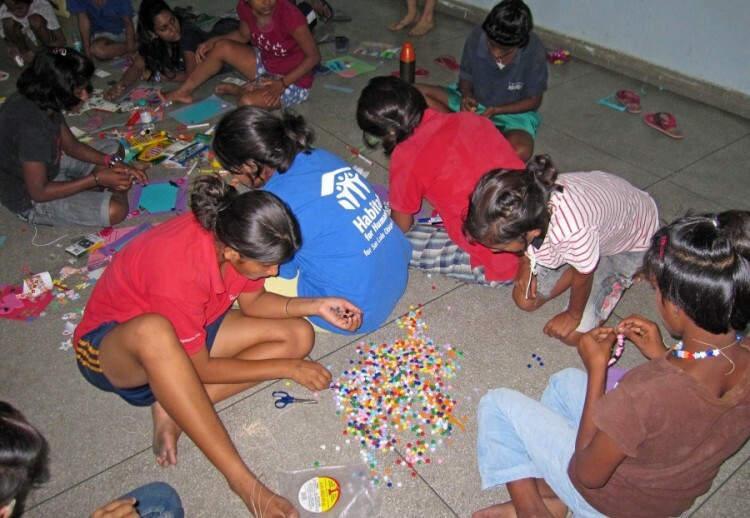 Some of our bead projects outside in the warm sun. 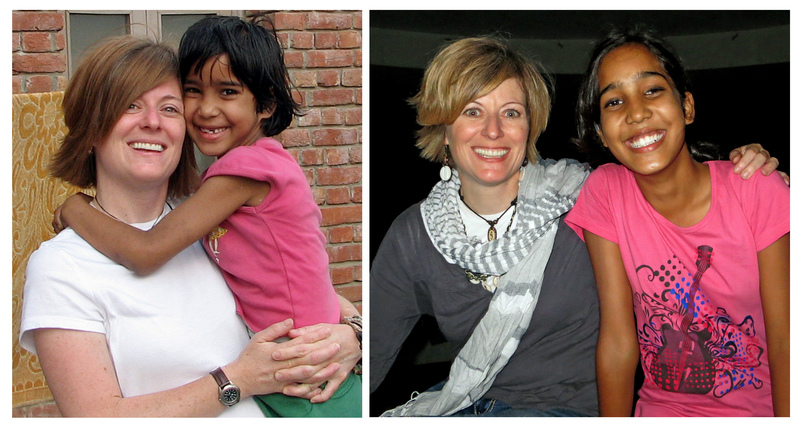 A photo of Sheetal and I from 2006, when she was a teeny – tiny thing, to now when she is 5 inches taller then me! 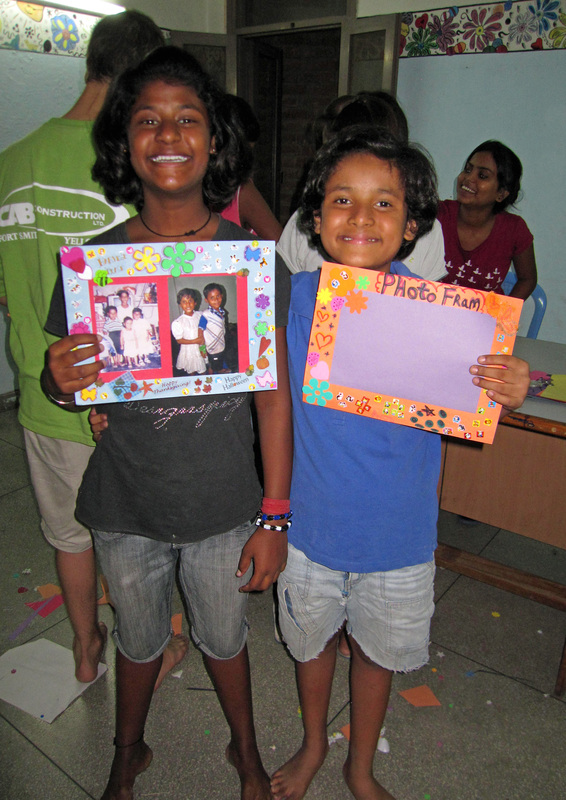 The girls making some very creative picture frames for themselves, as well as gifts for their friends. Sheela giving me a lift! 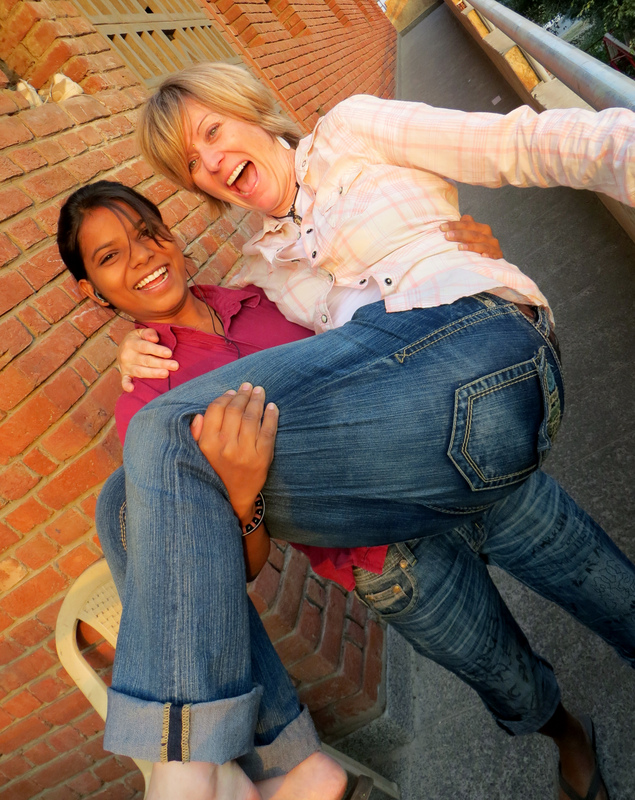 Rekindling old friendships with my sweet Pinki! 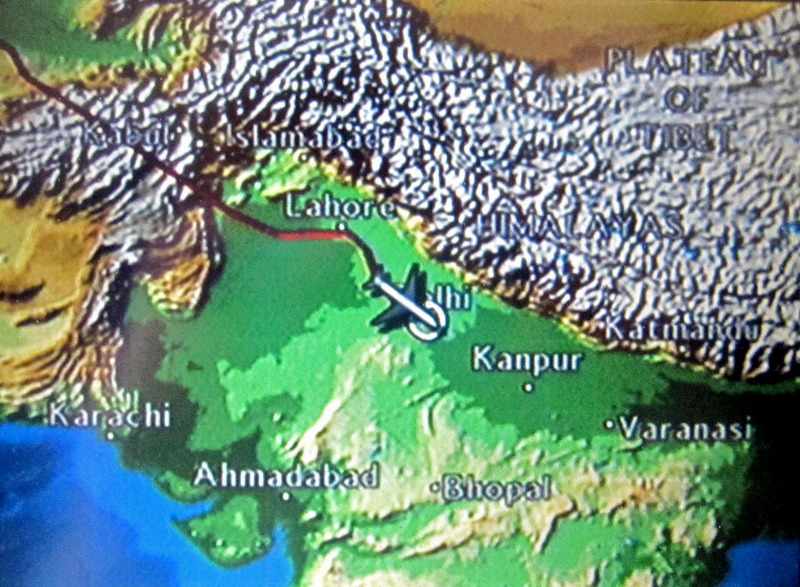 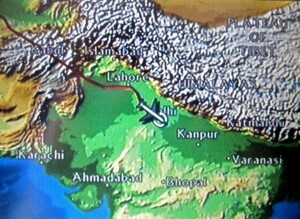 We also travelled to Varanasi and did a bit of volunteer work there with a local organization.